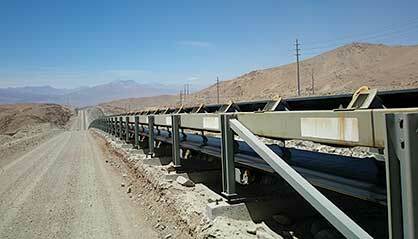 REMA TIP TOP has partnered with PHOENIX to offer premium conveyor belts and service vital to mine operators. PHOENIX Conveyor Belt Systems, headquartered in Hamburg, Germany, is an international company with over 150 years of innovation and success. PHOENIX offers the latest in extreme conveyor belt solutions with Steel Cord, Textile and Special Conveyor Belts, as well as Protection Systems for all belts. High-quality belt constructions from PHOENIX, tested in some of the toughest conveyor belt applications, give you the confidence you need for optimal performance.